SINGAPORE (March 14): The volume and value of merger and acquisition (M&A) transactions for 2016 were down from the record highs of 2015 despite cross-border activity remaining resilient, according to KPMG International’s M&A Predictor report. Looming rate hikes and uncertainty around 2017 policy shifts made the final two quarters of 2016 ripe for mega-deals, but in spite of the high transaction volumes seen especially in 4Q16, the overall deal value was lower than 2015’s stellar numbers. Meanwhile, cross-sector deals have climbed steadily as a proportion of all deals, rising from the low 30th percentile in the mid-2000s to 43% in 2015 and 2016. The value of these M&A activities also rose from 16-24% over the last 10 years as a proportion of all deals. “Cross-sector M&A opportunities continue to be a major focus for corporates,” notes Leif Zierz, global head of deal advisory at KPMG International. In total, 2016 saw US$1.4 trillion (S$2 trillion) in cross-border deals, a slight decline of 3% from the year before, comparing favorably with the overall market which declined 17% in 2016. Out of the top 100 deals in 2016, 41 were cross-border deals. Looking ahead, the energy and technology sectors are likely to be bright spots for M&A in 2017, says KPMG. The energy sector is in full recovery mode with the highest announced deal value since 2008 of US$753.4 billion. The average size of deals also increased in 2016, with all top 10 energy deals valued over US$12 billion. KPMG predicts this to further improve in 2017 with a 9% rise in predicted appetite and a 23% increase in predicted capacity. Technology’s war chest has continued to grow as net debt decreased by 147% and EBITDA increases by 12%, resulting in a predicted increase in appetite for deals by a staggering 121% in 2017. 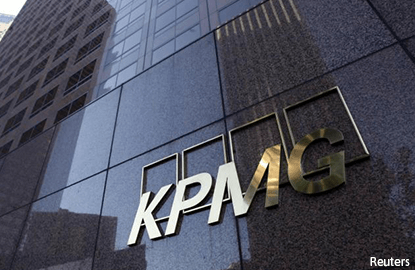 This signals that technology firms are well-placed to continue disrupting other sectors through the acquisition of capabilities and businesses, according to KPMG. “We expect continued strong M&A activity in 2017, although geopolitical and economic risks have the potential to hamper corporate confidence,” said Benjamin Ong, head of M&A at KPMG in Singapore.